Fatto da GREENLIGHT. Vehicle Make DODGE. Gender Boys & Girls. Year of Release 2019. Scale 1:64. 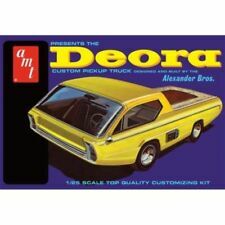 Model 1966 DODGE COE L600 TOW TRUCK RARE 1:64 SCALE LIMITED DIORAMA DIE. Vehicle Year 1966. Scala 1: 64. Scala: Tutte le bilance sono approssimative. Vehicle Make Dodge. Features Limited Edition. Vehicle Type Tow Truck. GREENLIGHT 2018. DODGE DURANGO CON VETRO DISPLAY RIMORCHIO. Year of Release 2018. Vehicle Type Car. Scale 1:64. Lotto Camion Tekno No. 750 Dodge letto basso con rimorchio n. 737 raro. Un bellissimo Tekno da possedere ! Fabricant Tekno. Vernice: due scale sul tetto della cabina eanni vassoio del rimorchio 9 / 10. Produttore di solido ha la scala 1/43 giallo. EAN 3274110045009. GREENLIGHT 1966 DODGE D100 con serie di BAMBI AIRSTREAM TRAILER HITCH & TOW 3 32030A. Fatto da GREENLIGHT. UPC Does not apply. Material Diecast. Gender Boys & Girls. Color Gold. Year of Release 2014. SCHIVARE IL FUOCO CAMION RIMORCHIO. Matériau Métal blanc. M2 Machines. Vehicle Make Dodge. Material Diecast. Color Yellow. Year of Release 2013. Scale 1:64. Un bellissimo Tekno da possedere ! Fabricant Tekno. Echelle 24 cm. MACCHINE M2 2019. 1966 DODGE L600 RIMORCHIO CAMION R52. Year of Release 2019. Vehicle Type Car. Scale 1:64. Sub-Type GREENLIGHT. Vehicle Make Dodge. Vehicle Year 2015. Material DieCast. EAN Does not apply. 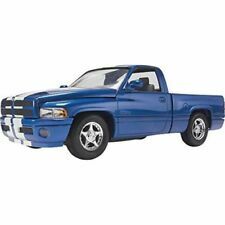 GreenLight 32130 Dodge RAM 2500 nero con rimorchio -hitch & trainare. Marke Greenlight. DODGE RAM 2500. compreso il rimorchio di visualizzazione. Fahrzeugmarke Dodge. Scala: 1: 64. Anno di costruzione: 2016. 1/72 Diorama II G.M.- US Army Sherman tank, ambulanza Dodge e jeep con rimorchio. La condizione Usato. NESSUNA BANCA DI FILI, CAMBIALI, BONIFICI. A VOLTE FACCIAMO DEGLI ERRORI E NOI LI FISSIAMO! TI posso aiutare con un problema se non mi dici su di esso. 2 camion militari trasportati DODGE di cui 1 con rimorchio. Numéro de pièce fabricant 242. Dodge Van 1979. Racing Porsche 1983. 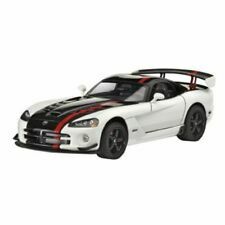 Greenlight Hollywood 1-64 scale Diecast model. Adult collectors item 8 Limited Edition. 1/64 Scale Diecast Model by Greenlight. Scale 1/64. Ending Soon. New Arrivals. GOOD - The item will have had more use, showing obvious imperfections. The RM Toys Team. Kind Regards. Our aim is to ensure no matter what the model, we will provide an excellent service experience. 1/64 Scale Die-cast model by Greenlight. 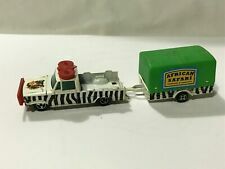 This is a Matchbox Superkings K-68 Dodge Monaco and Trailer Set. Both the Car & Trailer have a Light Brown Body. The car has Brown Roof and the Trailer a Black Plastic Cover. The Dodge Monaco has a Red Interior. BEAST CARRIER. DODGE KEW FARGO. IN VERY GOOD NICE CONDITION. NICE COLLECTIBLE PIECE FOR INVESTING IN. The transfers supplied consist of 1 pair of side wording. Note, 2 sets are need for both the tractor and trailer. Marked 1322 on underside of jeep. MODEL..DODGE FLAT TRAILER ARTICULATED TRUCK. MODEL..DODGE ARTICULATED TIPPER & TRAILER. This is for a very rare Tekno 778 Dodge Caltex (Texaco) Tanker and trailer tanker. A rare and sought after model. Blues Brothers Dodge Monaco with Ram and trailer 1-64 Scale new blister ltd ed . Condition is New. Dispatched with Royal Mail 2nd Class. A perfect way to finish off your favourite toy. Now the nasty stuff. So just ask and I will see if it is available. FIRSTLY WE ARE PROMOTING THE 2018 RAMSAYS DIECAST TOYS PRICE GUIDE FOR DINKY. DIECAST TOYS. CORGI AND OTHER MAKES. WITH LOTS OF COLOUR PIXS AND THE LATEST PRICES. Matchbox'sClassic old KING SIZE Collectibles Diecast Model. DODGE Articulated Truck with 3-Axle Trailer & 5-Axle DRAG Trailer. Rear Tipping Action on Both Trailers. ( NB: Drag Trailers Tip don't stay up.). Lesney MATCHBOX DODGE Camion Trattore, Rimorchio e Diecast, King Size K-16. 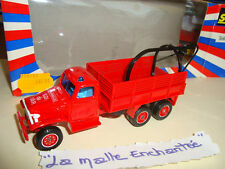 Lesney Matchbox Dodge Tractor Truck, And Trailer Diecast, King Size K-16.. Condition is Used. Dispatched with Royal Mail 2nd Class. 1/ Scale Model by Brooklin Models. SPARES or REPAIR - The item will be in a poor condition. EXCELLENT - The item will have had very careful use, with only small imperfections. GOOD - The item will have had more use, showing obvious imperfections. Matchbox'sClassic old KING SIZE Collectibles Diecast Model. DODGE Truck & Articulated HORSE TRANSPORT Trailer with Dark Grey Box's. Positive: Complete with Straight Axle Trailer Glasses Intact. Old Type King Size Wheels: RED Rim & BLACK Removable Tyre. 1/ Scale Model by Atlas Editions. Ending Soon. New Arrivals. GOOD - The item will have had more use, showing obvious imperfections. The RM Toys Team. Kind Regards. Our aim is to ensure no matter what the model, we will provide an excellent service experience. Condition is Used. It is in good played with condition. 1/ Scale Model by GREENLIGHT. The MODEL Is In MINT Condition. The BOX Is In MINT Condition. EXCELLENT - The item will have had very careful use, with only small imperfections. GOOD - The item will have had more use, showing obvious imperfections. Solido six wheeled Dodge Fire Truck and Pump Trailer. Model number 3004. Issued from 1983 until 1985. Scale is 1/50, it is 169mm long. Red diecast truck body, Red pump trailer. On six black plastic tyres with silver wheels. Matchbox'sClassic old KING SIZE Collectibles Diecast Model. DODGE Truck & Articulated HORSE TRANSPORT Trailer with Light Grey HORSE Box's. Old Type King Size Wheels: RED Rim & BLACK Removable Tyre. Size: 1:? ?.